Two sections of the California Vehicle Code specifically address driving under the influence (DUI). The first, section 23152(a), makes it a misdemeanor if you are caught driving while under the influence of alcohol or drugs. The second, section 23152(b), specifies that driving with more than a .08 percent blood alcohol level is a misdemeanor. If you have been arrested, contact us immediately online or call our highly experienced DUI defense lawyers in Santa Clara County at 619-239-2186. It is possible for DUI offenders to be convicted of both of these misdemeanors. There is also the threat of your license being suspended by the Department of Motor Vehicles (DMV). Additionally, driving does not only refer to driving a car. Operating a truck, motorcycle or even an airplane or boat while under the influence can result in a conviction. As a result, drunk driving cases can be surprisingly complex. Michael Berg is prepared to defend your rights and your driving privileges, whether this is your first DUI offense or you are facing the escalated penalties that come with repeat offenses. California DUI law is some of the most penal in the nation, but we have helped hundreds of clients keep their licenses and protect their reputations and their freedom. People come to us because they want personal, high quality service that minimizes their risk of conviction on DUI charges. We will put experience to work defending you. 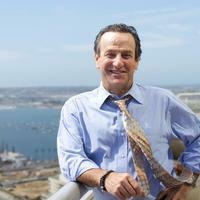 Don’t wait to contact experienced and highly successful defense lawyers: 619-239-2186.